The Department of Zoology was inaugurated in the year Sept 1975. 14 students joined in B.Sc. Zoology as their main subject along with Chemistry and Botany as ancillary subjects. 16 Students joined in B.Sc Botany as main along with Zoology & Chemistry as ancillary subjects. 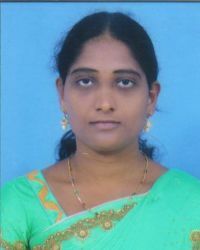 Dr.M.Jyothi acted as Head of the Department and P.Ranga Babu worked as Jr. Lecturer since the inception of the Department.Sri M.V.Dharma Rao joined as a Lecturer in 1976. Smt P.Lakshmi Kantham joined in the Department in July 1977. Dr.M.Jyothi got married in Aug 1977 and left for U.S.A. Sri G.Sitarama Prasad worked in the department for a short period. First spell of “Organic Farming” certificate course started on 03-12-2018. Second spell of “Organic Farming” certificate course Started on 21-01-2019. Enhancement of the Department with OHP, Computer set & Printer , Television set, VCD Player, Microscopes, Charts and 250 Books, LCD Projector. Preparation of 1st year Practical syllabus in the form of CD. Preparation of Transparencies by the students under the guidance of the teachers. Conducting of student seminars and organizing group discussion to check in depth knowledge of the students. Organisation of Surveys, Field trips, Industrial tours and Mini Project Works. By Preparation of Zoology Question Banks on I,II,III B.Sc.Syllabus by the students. By browsing the Internet available in the NRC, CDs. The department has a departmental library. which contain 250 volumes and 3 Journals. The library is open for both reference and lending purpose. The department supplies the paper clippings to the students. The Department has a fine Museum with master pieces including wet mounts. Aquarium, Dry mounts, Human Skeleton and stuffed animals. The department preserved Varanus, Rat Snake (Ptyas), Cobra, Russels viper, Dryophis, Normal & Abnormal Human Embryos. Slides , specimens and models Invertebrates ,Vertebrates. The Department has 45 microscopes, 19 Dissection microscopes, 1 Binocular microscope, 1 research Medical Microscope, 1Haemocytometer, 1 Over Head Projector, 1 LCD, 1 computer & printer 116 Bio- Visual charts, 230 permanent slides, 235 Museum specimens & 8 Stuffed animals. 1 Analytical balance. 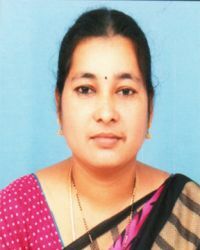  Ms. P. Pravallika awarded Gold medal for Highest marks in Zoology at Acharya Nagarjuna University level during 2009-12.  MS. M. Harika awarded Prathibha Award – 2015 from the Governoment of A.P for secured highest marks in B.Z.C. at Krishna University level during 2012 – 15.  MS. Ch. Priyanka awarded Prathibha Award – 2015 from the Governoment of A.P for secured highest marks in B.Z.C. at Krishna University level during 2012 – 15.  MS. K.Anusha awarded Prathibha Award – 2016 from the Governoment of A.P for secured highest marks in B.Z.C. at Krishna University level during 2013 – 16.
secured highest marks in B.Z.C. at Krishna University level during 2014 – 17.